From Meredith to Mommy: WHAT Am I Doing Here? Sometimes I get a chance to review a product, and it may seem like the timing is off. I'm three years into this homeschooling thing, and I'm getting the point where people are asking me for advice. But three years in, and I swear, there are still days when I want a very specific instruction book to tell me what "good" homeschooling should look like and wondering if I'm there yet. 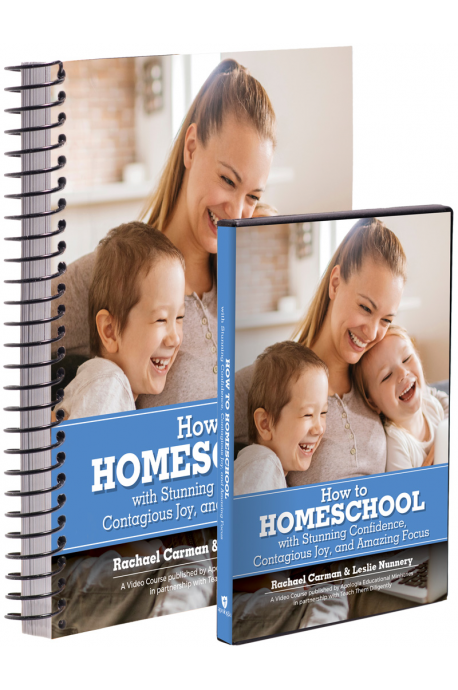 I'm getting more confident now, but in the beginning, I would have loved to have had How to HOMESCHOOL with Stunning Confidence, Contagious Joy, and Amazing Focus (DVD & Coursebook) from Apologia Educational Ministries to help me. Three years in, and I'm still glad I was able to check it out. It was a good refresher for me, and it's nice to have something I can actually point someone toward when they (whoa...) ask me for advice. 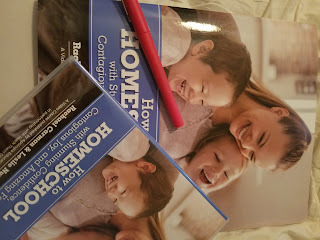 Video is a big friend of mine when it comes to homeschool. I loved that the video clips were only about fifteen minutes long. It felt like it was one of those more experienced moms, checking in and sitting down for coffee with you for a few minutes. "How did you make out trying what we talked about last time?" "Let's talk about where you'll focus next." "Take some time to think and plan on how this will look in your life, and we'll chat again soon." You watch the video, and then you have some space in the workbook to reflect and plan. Chapter 14: You Can Make It! Obviously, we're not even close to college. Shhhh....all you moms who warn me that childhood will fly by much faster than I think and we'll be thinking about college before I'm done writing this review. Still, I was moved to work through these sections too. After all, your trip will be much harder if you don't know what your destination looks like. Chapters 6 and 7 spoke to me strongly. I might be three years into this, but I'm still not totally comfortable with the way I have things organized. This course forced me to look at it again, and gave me some great tips to organize both the stuff and the day. 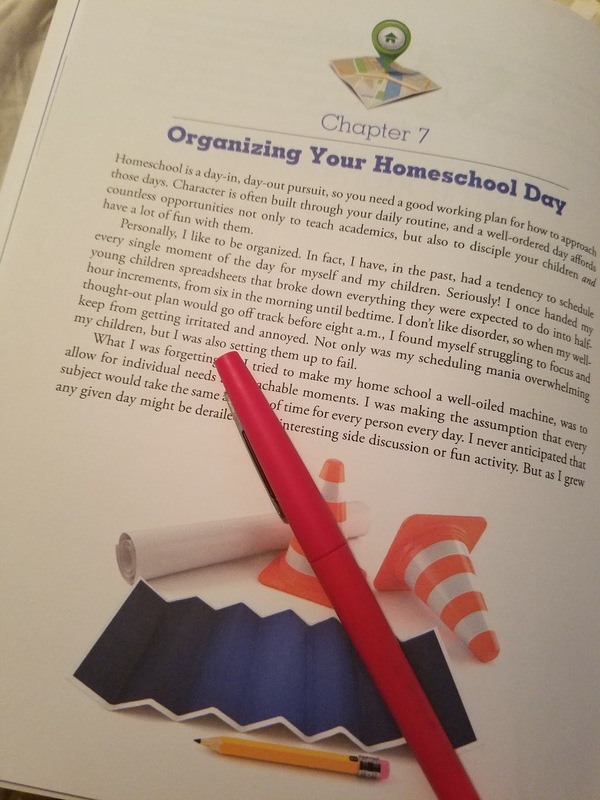 For three years, I've only really been homeschooling one child while the other was either a toddler or in preschool. Next year, they'll both be home, and I'll have to readjust - juggling two grades worth of stuff and my time. It's daunting to think about, especially knowing how strong willed my little one can be, and how my older one needs encouragement over tough love. In addition, they both span several grade levels within their "official grade", so organization isn't optional. I have to re-figure this out. The DVD got me off to a good start. I have one favorite homeschooling book that I read whenever I need a spark or a boost or a reason to remember why I do this, and now, I'll have this DVD to add to my "pick me up and put me back on track" stash. I know I'll be recommending this to families who are just beginning this journey!